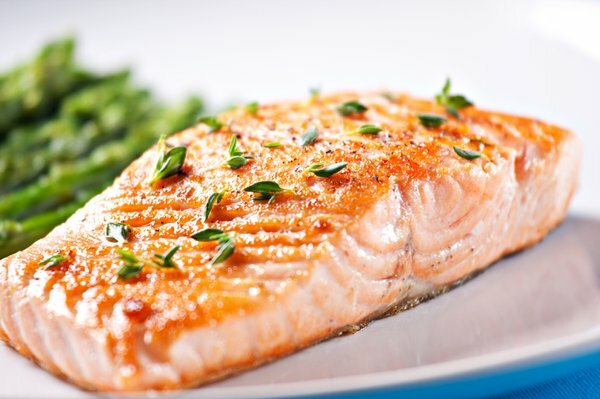 Salmon is like the goody-two-shoes of the fish world. No one ever shuts up about how stinking (no pun intended) great it is, so you really, really want to hate it. But the thing is, it has its high-and-mighty rep for a reason: Its lean protein, its dose of healthy fats, the Vitamin D and B12 content…we could go on and on. So you might as well embrace it and its male fertility-promoting vitamins. And while you’re at it, you should probably learn how to cook it too. Try this easy recipe Homemade Baked Salmon with Sauteed Spinach. Roll up your sleeves, light a pleasant smelling candle…and get to work. 2. Place salmon in ovenproof baking dish. Season well with salt and pepper. Bake 10 to 15 minutes. 3. Heat oil and garlic in skillet. Add damp spinach and using tongs, toss and cook until spinach is wilted. Stir in lemon juice. 4. Serve salmon atop spinach and with mashed potatoes.